There comes a time in every parent's life that they have to accept that their little bundle of joy isn't a little bundle anymore. I listened when my elders told me to cherish it because they grow up too fast. I did but, looking at today and how fast the past almost 16 years has flown by, where did it go?? I have to face the facts, my first born is growing up. She's through drivers ed, she's in 10th grade, marching band, girl scouts, has a boyfriend, she is really growing up. It is a true bittersweet feeling that I write this post. I promise I really am happy. I have looked over at her 100 times tonight in disbelief that she is so grown up. We took a 5-hour trip today to Charlotte, NC. Our destination, Johnson & Wales University, to go on a campus tour tomorrow. We are at the motel now, I still can't wrap my head around that she is old enough to start touring colleges and planning for her adult life. Not for planning for next month's new game coming out but planning for her whole life. Planning for the day she gets to take her teenager to a college to tour and check out all the grounds. AWE~ silently crying right now~ even though she isn't a baby anymore, she will always be my baby. This has been an amazing adventure, and it's just beginning!! Good morning. We're up and getting ready for our adventure. Just to mention, we stayed at Sleep Inn on Tryon St. It's amazing. The beds are comfortable, wifi is fast without interruption (I would have slept on concrete for that), the breakfast was more than amazing. Not just for being a motel breakfast either. We had so many options. Bread, bagels, muffins, fresh press waffles, eggs, sausage, seasoned potato wedges, cereal, oatmeal, fresh fruit, juice, coffee, milk, and more!! I could write a whole post just about our stay. We reserved our room with points we've been saving from previous stays so we were able to get the room for free. When we checked in last night, we even got a gift bag of goodies with chocolates and snacks. A very nice personal touch. We're stopping by a salon in a bit and heading out to our destination. 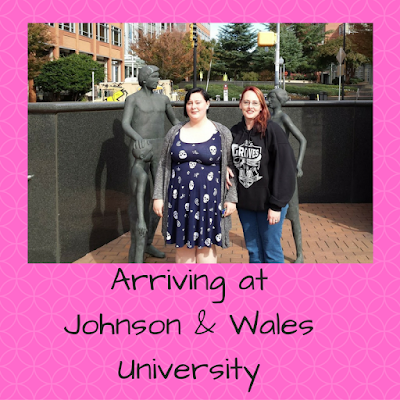 Johnson & Wales Univeristy to take the Friday Culinary Experience Tour. I'll be back in awhile to update more and tell you all about it. So the trip is over and we made it home. Surviving, rush hour in the city was so much better than I thought it would be. We had so much to talk about. This was an all around amazing tour and I am so impressed to say the very least. I am almost at a loss for words. You know me, I am going to find a way to share every bit of it with you. So just to get it out of my system now, IT WAS AWESOME AWESOME AWESOME!! For starters, everything on campus is so high quality. I mean everything from the labs all the way to the faculty. I have so many fun facts to share. So, we started the tour at admissions. We had a nice sized group of families there with their prospective students. We walked over to one of their "labs" to get some amazing information and participate in a demonstration. Guess whose kitchen we were in. Emeril's Kitchen! Yes, the Emeril, if you're not familiar with him, he's a food network star. Our tour guide showed us how to make a taco bulgogi. Which was super simple looking to make but absolutely fantastically assembled. It really set the bar high for the rest of the tour. We talked about the admissions process and what to expect. What I really liked most is how thoroughly it was covered. When he was done with the super tasty presentation, one of the students came in and explained what schedules would be like. We thought it was really cool it's only 4 days a week and there are optional morning and afternoon classes. I like that because working around the schedule for things like work, coming home to visit mom, studying, and everything else is so manageable. The labs are 9-day labs and look like so much fun. Have you heard of Experiential learning? Everything is so hands on. It's not just learning from a desk. 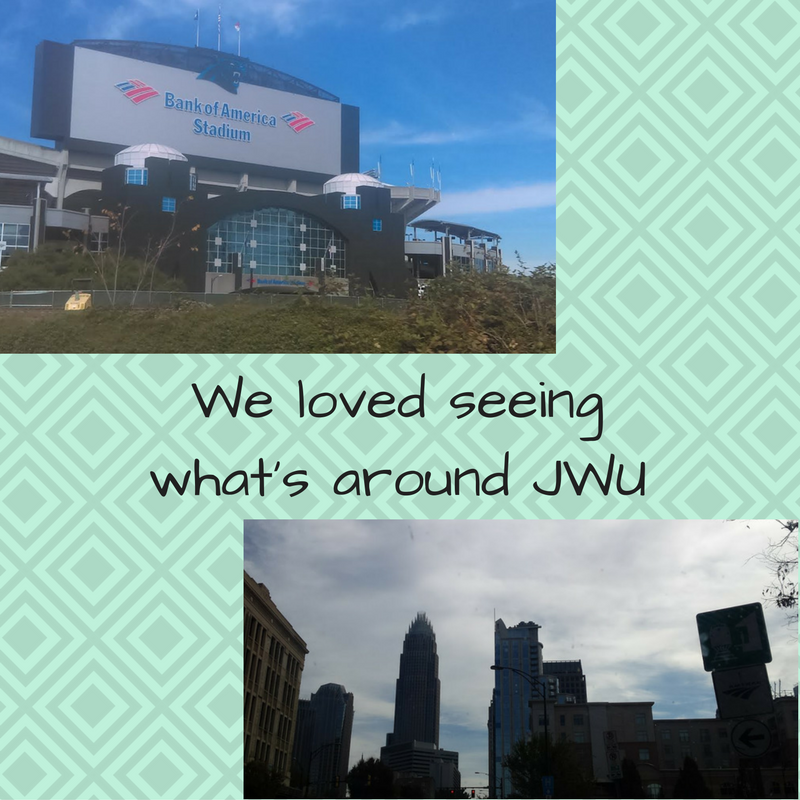 JWU owns restaurants, Doubletree by Hilton Hotel Charlotte, and has so many amazing intern opportunities. There are labs for mixology, wine tasting, and beverage everything! Marketing classes include things like wedding planning, event planning, fashion, managing sports teams and Its players, it is just so awesome to see all of the careers that can come from the degrees the students will earn. I wasn't sure exactly what that means until our tour. Basically what that means is whatever the major is, the student will have hands-on learning before graduation.I think that's amazing. Instead of getting a degree and having to spend years learning your place, your student will be able to leave the school with experience. Real experience. It is a great opportunity. There are so many options to choose from and in a four-year program at JWU, your student will have two degrees. 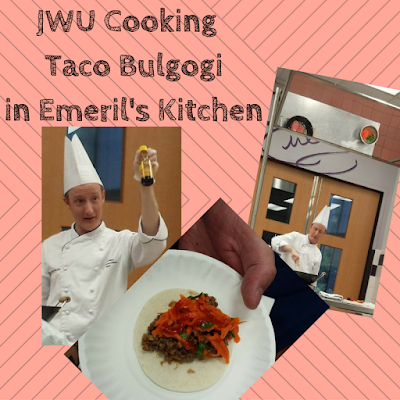 There are so many opportunities that come along with being a student at JWU. The gym was so impressive. They have a whole display of different balls and certificates. The gym is all up to date with great fitness options and Alumni can come work out when ever they want. Dorm living is So Cool. We got to see one of the double dorms and I love how it's set up. Every dorm room comes with two beds, two closets, two desks, and a mini fridge and microwave. One of the most genius ideas in the history of ideas, the shower, and the toilet are in 2 separate areas. If you have ever experienced community living (I have two sisters), you know with certainty, someone will not be ready on time. Because of the shower and toilet being is separate areas and the big mirror and sink in the middle, Getting ready, even with the same schedule, everyone can be on time. Students are also allowed sleepovers as long as they are over 16 or have written permission. I thought that was very cool because my daughters would miss each other and could still spend time together on their breaks. There are residence halls for the freshmen and sophomores and then for the juniors and seniors there are apartment options. Every floor is set up the same. There is one full kitchen in both buildings. Security is another awesome factor on the JWU Campus. There are stations with phones to call the help desk 24/7/365. I love that. If my child were attending and had any issues, they would be safe. Each floor in both buildings has three RA's and can be there for anything that may come up. 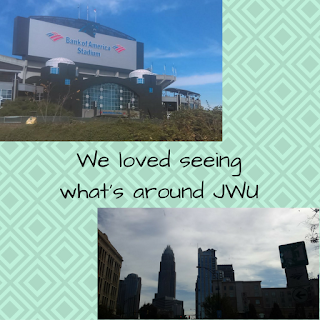 I am so impressed with the Johnson & Wales University Charlotte Campus, NC. Everything is top of the line. We read up on so much before we made the trip out and it was so much better in person. The entire campus and all of the programs. 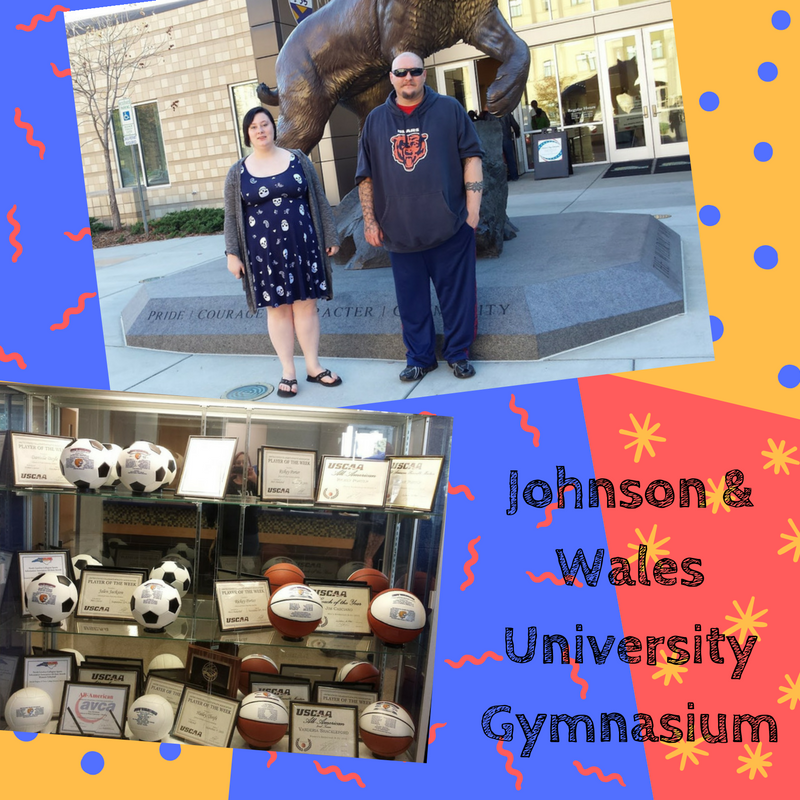 Find Johnson & Wales University on social media. JWU Facebook, JWU Twitter, JWU Charlotte Twitter , JWU Admissions Instagram, JWU Charlotte Instagram, JWU Youtube, JWU Charlotte Youtube. This is a sponsored conversation written by me on behalf of Johnson & Wales University. The opinions and text are all mine.